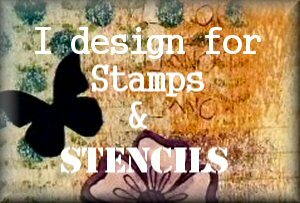 Stamping Sue Style: Stamps be gone ! 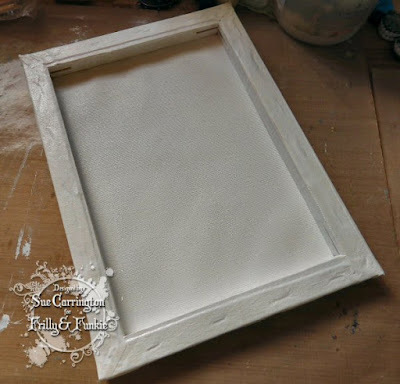 Such a beautiful project and a great idea to use the wrong side of the canvas. 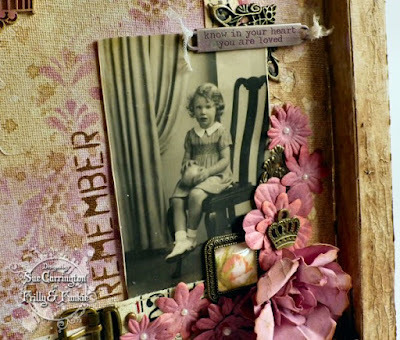 It's beautiful Sue; really, really beautiful. I was so interested to see your step outs to see how you fared without that trusty kit bag of "go to" items. What a very fitting place for your lovely photograph to rest. 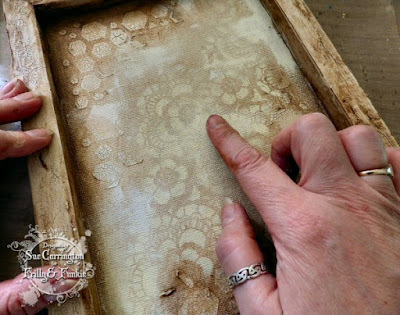 You've given that lovely photo of your mother a really beautiful setting - gorgeous crackle and stencilled crackle and a wonderful depth from layering up those glazes. 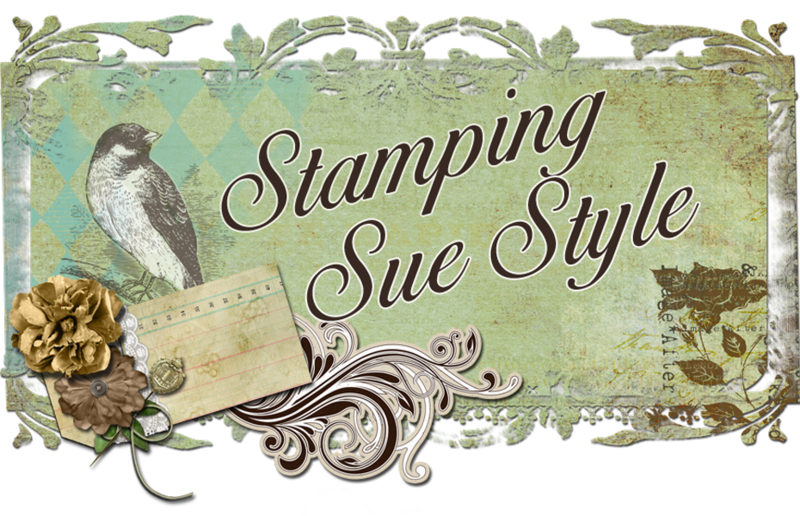 Gorgeous, Sue... who needs stamps?! 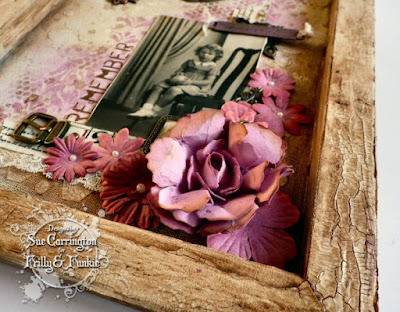 A perfect keepsake and a wonderful way to show off that gorgeous photo of your Mum, great job with no stamps. 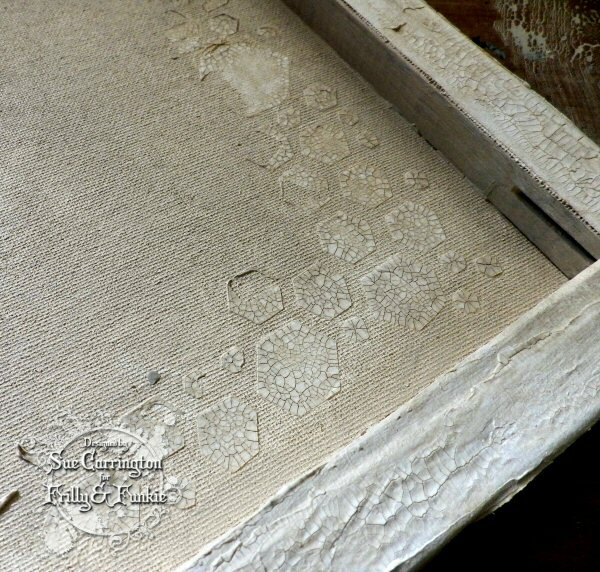 I love the rustic, dreamy quality of this gorgeous canvas. The way you built up the color on the background is fabulous! 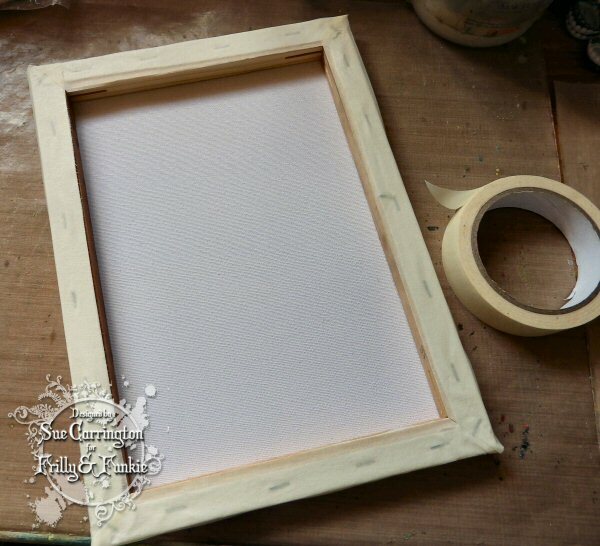 A beautiful frame for a special photo. Fantastic design details and texture. Absolutely stunning Sue!! 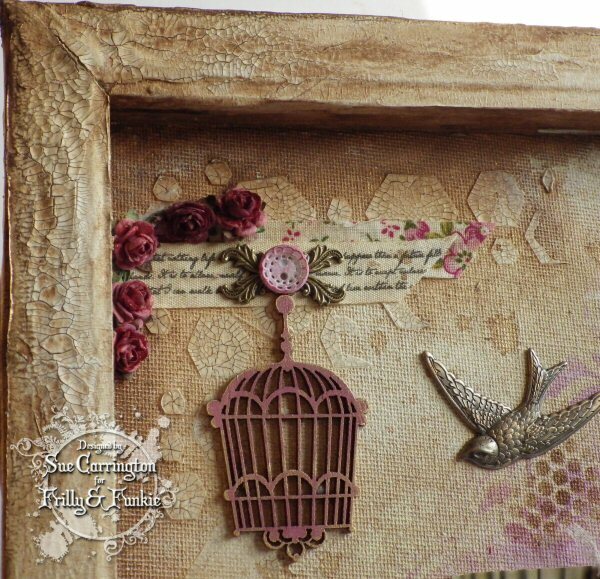 The stencilling work like always looks incredible, the frame is brilliant and such a gorgeous vintage style colour combination!! Love this!!! 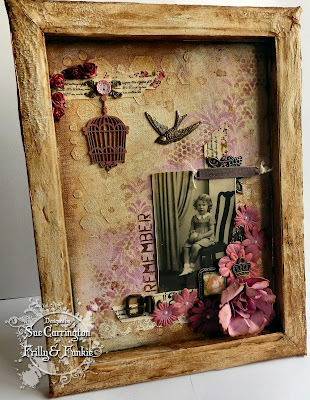 Your canvas shadow box is fabulous, Sue!! It is so breathtakingly beautiful and vintage. 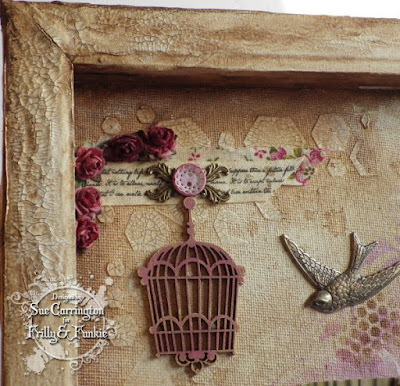 I love, love, love the texture and layering with the stencils. It is an absolute treasure! 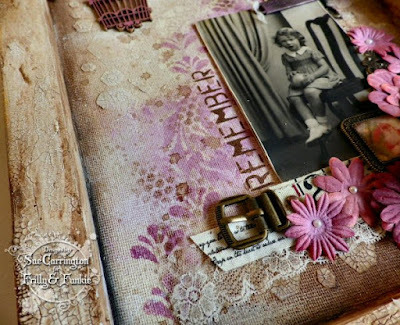 This is so pretty and all your wonderful background techniques and the added elements just make the photo of your Mum even more special. Wow, Sue! 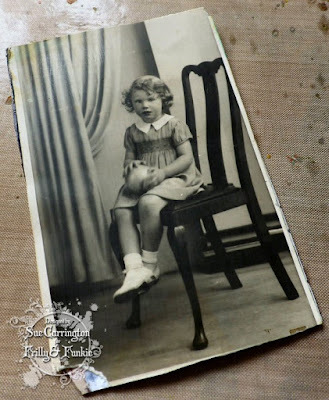 You've given this precious photo of your Mum a lovely home! 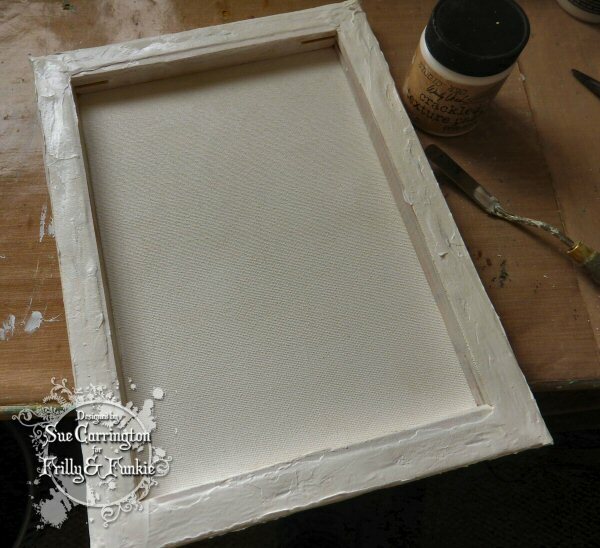 To start your crackled frame is fantabulous!!! 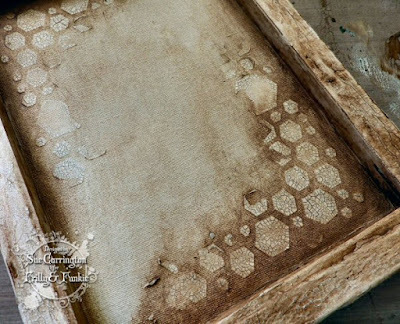 I've never been able to achieve such beautiful crackle, and this has me oohing and ahhhing! That stunning background is beautifully vintage, and your layout is fabulous! This is just amazing!